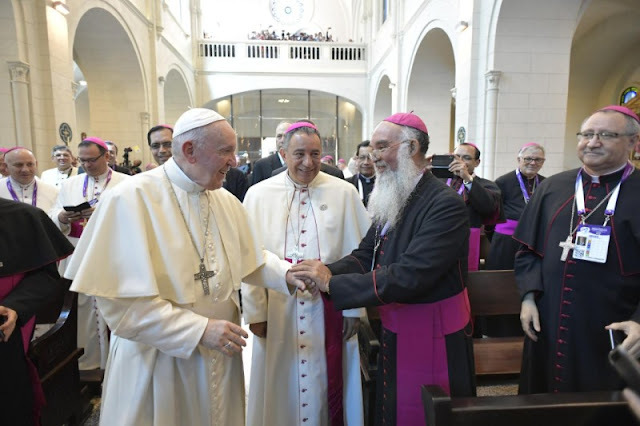 Pope Francis addressed the Bishops of Central America (SEDAC) in the Church of Saint Francis of Assisi in Panama City. This visit occurred during his apostolic visit to Panama to celebrate World Youth Day 2019. Pope Francis has addressed members of the Episcopal Secretariat of Central America.